Alessandro De Francesco (Italy, 1981, lives in Basel and Brussels) is a poet, artist and essayist. Since 2008 Alessandro is a visiting professor at the European Graduate School. He has been an artist-in residence a.o. at the BeHave program, Luxembourg, at the STEIM Amsterdam and at the Kunsthalle Mulhouse. He is currently an artistic research fellow at the Research Centre for Visual Poetics at the University of Antwerp. He read, performed or exhibited at venues such as the Kunsthalle Basel, the Kelly Writers House at U-Penn, CUNY, Fondation Louis Vuitton, Centre Pompidou, the Strasbourg Museum of Modern and Contemporary Art, the Berlin University of the Arts, and elsewhere. 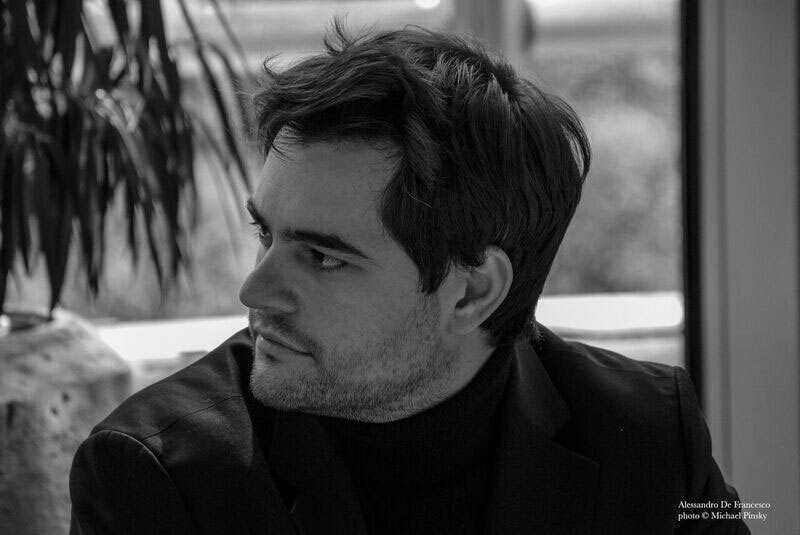 Alessandro holds a PhD in Poetics from the University of Paris-Sorbonne. This poetry reading performance is a piece where the text detaches itself from the singular subjectivityof its author and is collectively shared. Alessandro De Francesco has been developing for several years what he calls “reading environments”, i.e. installations and performances based on text and spoken voice. Differently to previous reading environments though, this piece doesn’t make use of digital voice processing and is not based on one reading voice only: it rather features at its core the collective human presence of the readers-performers and the simple resonation of their voices and bodies in the space. Remote Vision – a collective reading environment inscribes itself in the series of iconoclastic acts and interventions defined by Alessandro De Francesco as “Language Art” and “poetry as artistic practice”. This reading environment was performed for the first time at the Kunsthalle Basel on May 28th 2016. Remote Vision – a collective reading environment has been conceived in the occasion of the recent release of the American book Remote Vision. Poetry 1999-2015, New York, Punctum Books, 2016, gathering in a bilingual English-Italian edition the majority of Alessandro De Francesco’s poetry and conceptual writing produced so far, and of the French book, Paris, Mix., 2015. 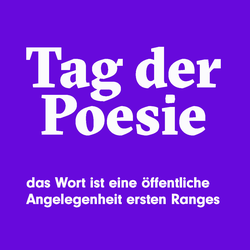 The “Tag der Poesie 2016” hosts its second public performance. Performers/Readers: Rinny Biberstein, Domenico Billari, Alessandro De Francesco, Laila Dell' Anno, Clare Kenny, Simone Lappert and Alisha Stöcklin.